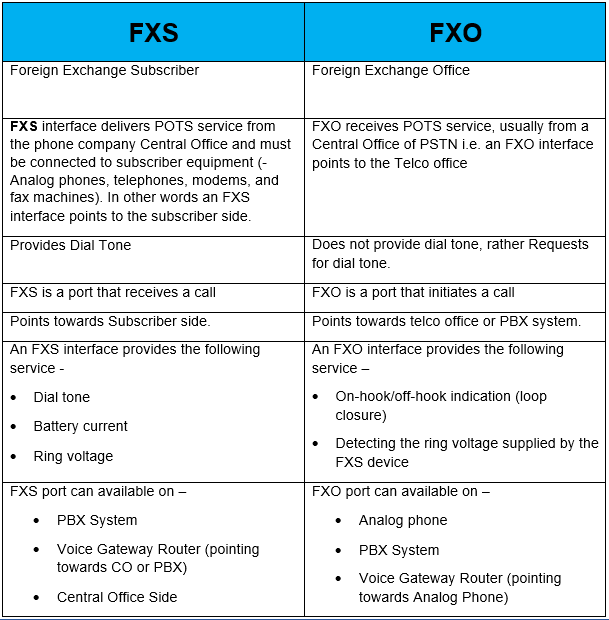 Foreign Exchange Subscriber (FXS) and Foreign Exchange Office (FXO) are two most common interfaces discussed in analog telephony environments. The usual query is – What is the difference between FXS and FXO? 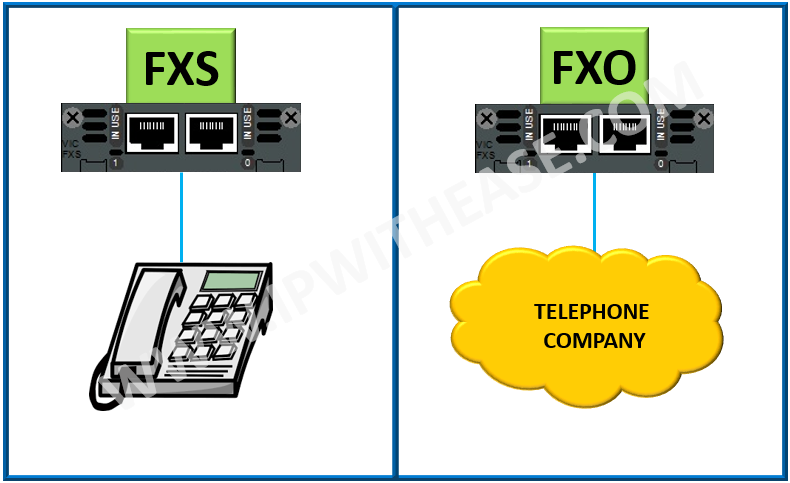 FXO and FXS interface go hand in hand to complete a connection.If we connect an FXS device to another FXS device, the connection will not work. Likewise, if FXO device is connected to another FXO it will not work. Hence, one cannot plug a standard analog telephone (FXO) directly into a standard analog telephone (FXO) and talk phone-to-phone. A telecommunications line from an FXO port must connect to an FXS port in order for the connection to work. Similarly, a line from an FXS port must connect to an FXO port in order for the connection to work.